As you will read in our book, people are like plants. We do not grow in a vacuum. In order to flourish and develop, we need to absorb vital nutrients from our environment. If we can get these, or are provided with these, we can become strong, flexible and resilient to stress. If we have been deprived of these, we will be brittle and vulnerable. It is as simple as this. 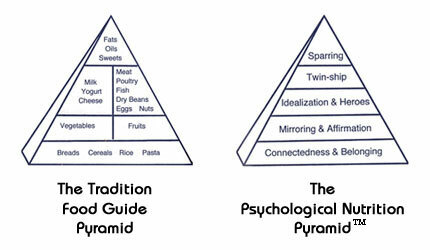 In our book, Dave and I describe a pyramid of what we call "Psychological Nutrition" which parallels the food nutrition pyramid. These are the basic psychological needs that children must have fulfilled during their development if they are to become resilient adults. And adults also have the very same needs throughout the whole life span. When one hits a setback in life, one needs to be able to "feed oneself" from the "Psychological Nutrition" Pyramid in order to be able to "bounce back." This is the core concept that Dave Hood and I teach in our book. 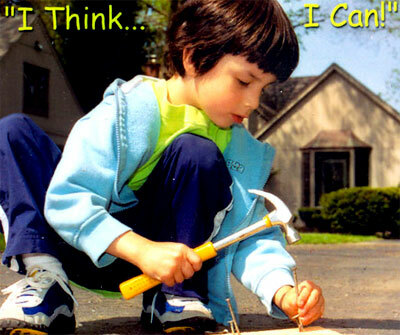 If you look on page 83"How to Bounce Back When You Think You Can't: the P.R.I.D.E. Factor," you can see, and learn to work with this pyramid in your own life. In this section, called "Munschables," I will offer updated "nutritional" pick-me-ups for the psyche. These will be little tidbits to energize, inspire and refresh. If readers have any such morsels to contribute, please e mail them to me via "contact" on this site. Credit will be given as appropriate. Grant can; anyone can with the right nutrition.